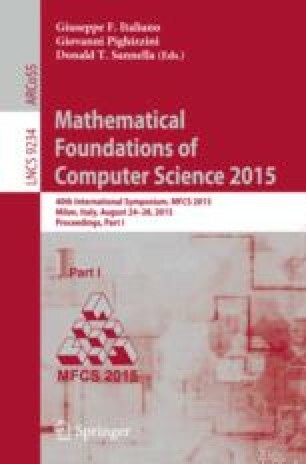 In the setting of the modal logic that characterizes modal refinement over modal transition systems, Boudol and Larsen showed that the formulae for which model checking can be reduced to preorder checking, that is, the characteristic formulae, are exactly the consistent and prime ones. This paper presents general, sufficient conditions guaranteeing that characteristic formulae are exactly the consistent and prime ones. It is shown that the given conditions apply to the logics characterizing all the semantics in van Glabbeek’s branching-time spectrum. Research supported by the project 001-ABEL-CM-2013 within the NILS Science and Sustainability Programme, the Spanish project STRONGSOFT TIN2012-39391-C04-04, and the projects Nominal SOS (project nr. 141558-051) and Decidability and Expressiveness for Interval Temporal Logics (project nr. 130802-051) of the Icelandic Research Fund.